Summer Simulcast Announcement - The stats are stacked as Bikini Warriors join the party - Funimation - Blog! The Bikini Warriors are coming to this Summer Simulcast’s anime season! Who needs all that armor when your stats are this stacked? 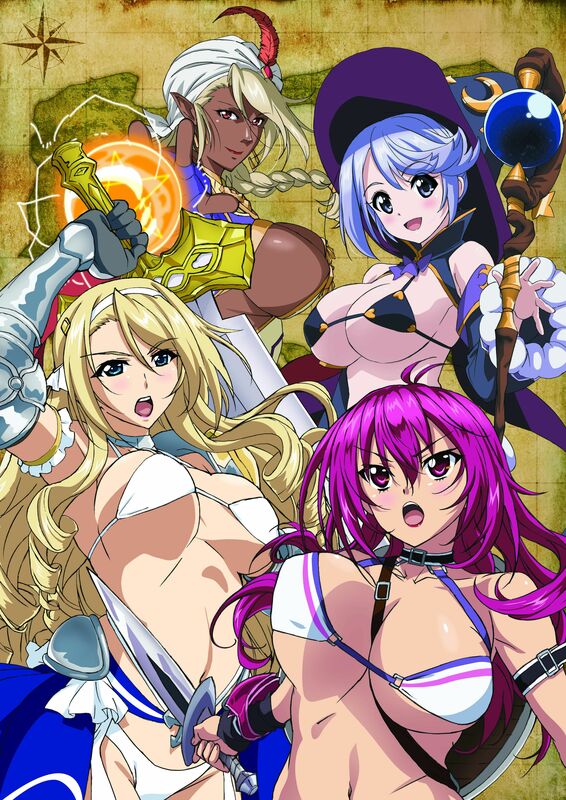 Inspired by old school RPGs, Bikini Warriors is a death(and gravity)-defying adventure filled with dungeon crawls, giant weapons, and bikinis that must have rolled a natural 20 just to stay on. Synopsis: Prepare yourself for an adventure of epic proportions. Warriors so skilled at battling questionable slimes and taming tumescent tentacles there’s no need for all that bulky armor. Brought to you by some of the masters of the female form, Bikini Warriors features character designs by Rei Hiroe (Black Lagoon), Tony Taka, Odanon (Queen’s Blade), and Hisasi. All your favorite RPG classes beginning with the athletic Fighter, elegant Paladin, and enchanting Mage are busting the min/max barriers for maximum blood loss! Are you equipped? Bikini Warriors premieres Tuesday, July 7 at 2:40 PM ET. Catch it every Tuesday at 2:40 PM ET this summer! For some reason, I have the impression that Jamie Marchi might be voicing either the Paladin or Fighter and Lindsay Seidel might voice the Mage.